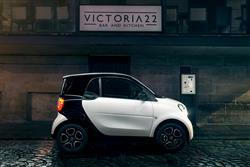 Maybe it's the fact that the smart fortwo and its predecessor, the city coupe, have been with us since 1998 or maybe it's due to the fact that the market for citycars has boomed with new entrants, but it's easy to overlook quite what an enormous step smart took introducing this two-seater back in the last century. Think about it. 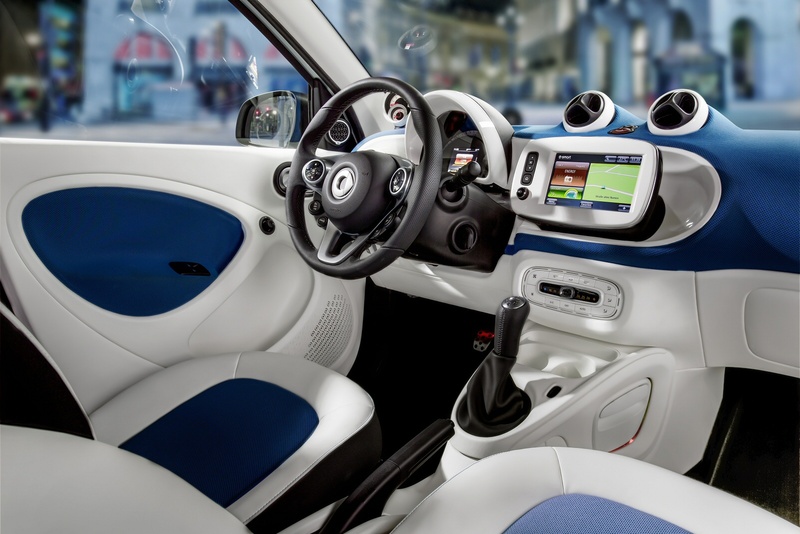 What other car in the last, say, thirty years has changed the form factor from the existing shape quite as radically as this fortwo? I can't think of one. 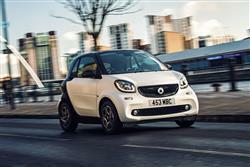 The car we have here, the latest fortwo in base 71bhp 1.0-litre petrol fixed-top guise, shares the original's rear-mid engined layout and two seater layout, and many of the styling signatures have a clear form line. Where this car is massively different is in the way it drives and we'll get into that a bit later. 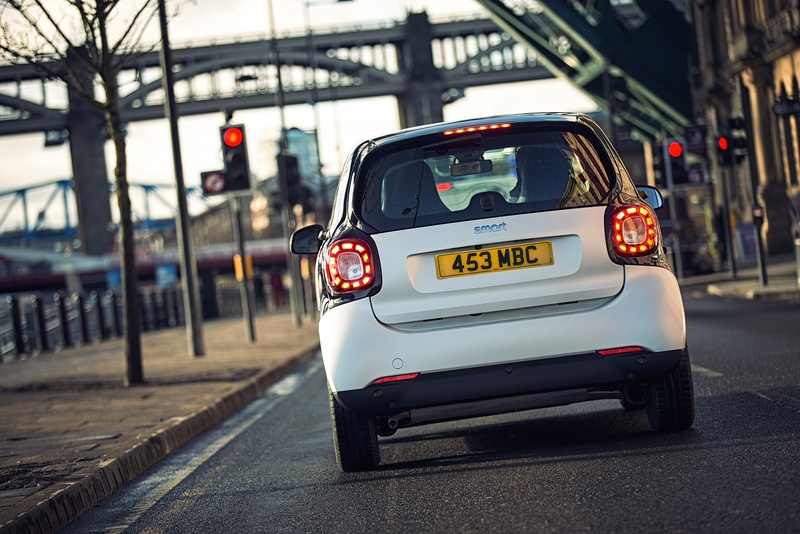 Suffice to say, if the last experience you had with a Smart was with one of those wheezy old cars with their jerky automatic gearchanges, perhaps you owe it to yourself to try one of these new cars. 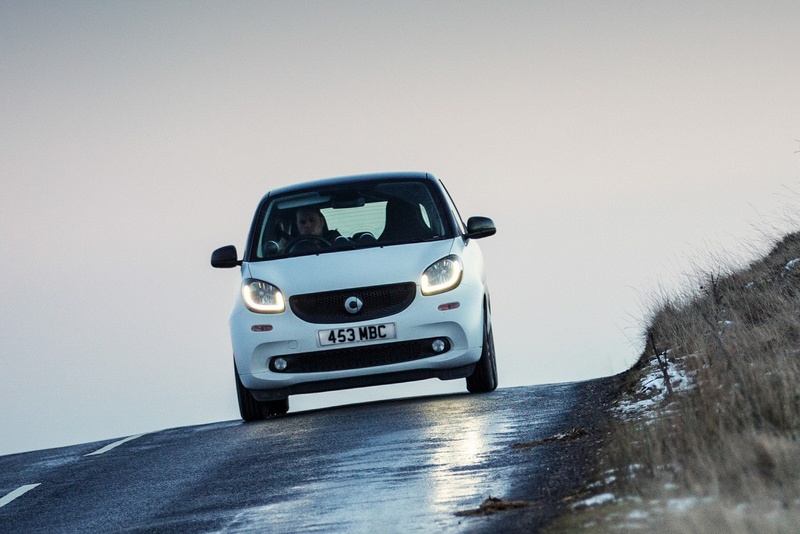 For most people, the leisurely 999cc 71bhp powerplant we tried will be enough for fortwo ownership. If I were choosing a car purely for city driving and wasn't too fussed about underscoring my 'man credentials' at every set of traffic lights, I'd be tempted. This car will get to 62mph in 14.4 seconds. The biggest improvement to this car over the old smarts remains the transmission. Gone is the vile robotised manual change that had your head jerking about like a Thunderbird puppet with each gearchange. In its place comes a choice between a five-speed manual box with the 'twinamic' six-speed twin-clutch automatic also available. As ever, this car has an unprecedentedly small turning circle. It's just 6.95 metres, partly because there are no driveshafts going to the front wheels, so they can be angled right out to 45 degrees. That's really handy when you spot a parking space on the other side of the road and need to dive in quick smart. When I first saw pictures of this third-generation smart fortwo, and I'm not going to pull any punches here, I thought it was awful. All of the appealing cuteness of the original version seemed to have been lost. That impression changed the moment I got to have a walk round this car. The fortwo is one of those cars that doesn't seem to photograph very well but which has lots of interesting angles and intriguing details that gel really well in real life. If anything, the design changes have made it look even smaller than ever, the chunkier styling giving it a hall-of-mirrors beefiness that shouldn't work but does. Both fixed-top and cabrio versions are available: we tried the former. The virtually non-existent overhangs at the front and rear and the 100 mm wider track creates that pugnacious stance. As before, the colour contrast between tridion cell and body panels is another characteristic feature of the smart brand. In profile there's a much bigger angle between bonnet and windscreen on this one than on previous fortwo designs - smart calls this a "one-and-a-half box" design as a result. As estate agents will always insist, size isn't any great indicator of price, and so it proves here. 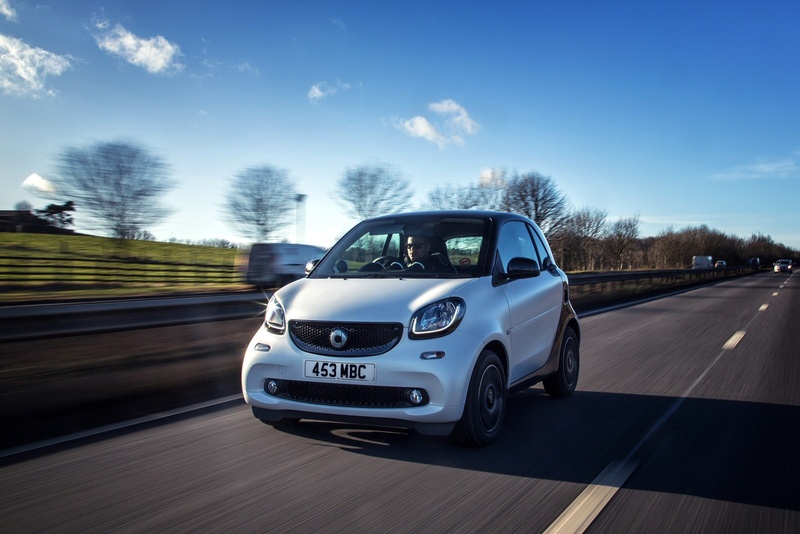 The fortwo range opens at just over £11,000 on the road for the 71bhp version we tried and is offered in three main trim levels, passion, prime and proxy. 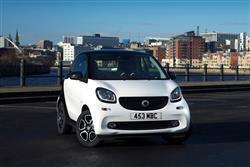 We tried the fixed-top model but smart has also developed a pretty cabriolet bodystyle you can ask your dealer about. The passion models get 15" 8-spoke alloy wheels painted in silver, and automatic climate control and the Smart Audio-System. This gets a 3.5-inch colour screen, AUX and USB interface, Bluetooth streaming and hands-free phone, and you can also Bluetooth to the smart cross connect app for iOS and Android. A word on smart's 'cross connect' app that comes with ownership, something the brand is very proud of. Its big drawcard is what it calls community parking. Owners simply download the app to their mobiles, attach said phone to the adjustable cradle and Bluetooth it all up. 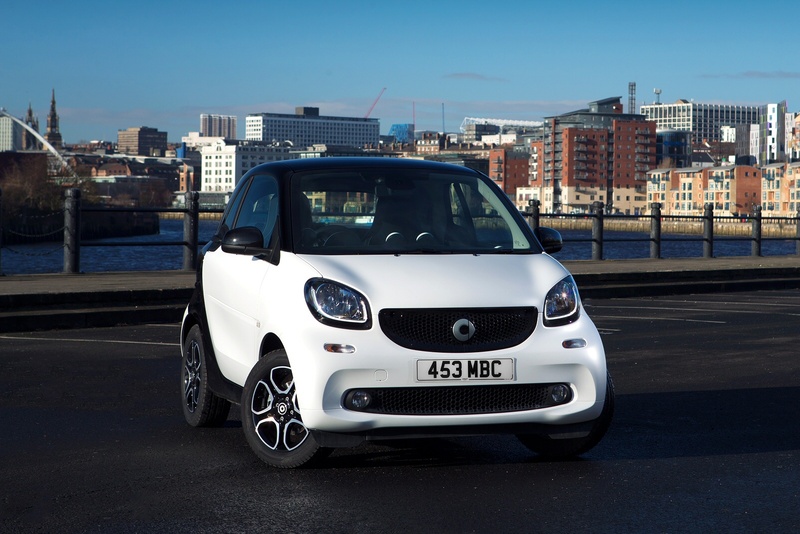 Once Cross Connect is fired up, drivers simply swipe to the community menu and let the app discover the closest available parking spaces, many of which are only suitable for the minuscule dimensions of the Smart Fortwo. It seems that Smart reckons that we'd want to share this information. Am I just being extraordinarily selfish, or would you rather keep the location of a valued parking spot to yourself? Yep, thought so. 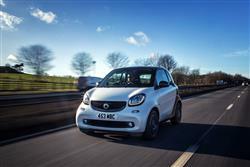 Owners won't have to pay too much to keep a fortwo on the road. The normally-aspirated manual car I tried returns 68.9mpg on the combined cycle and 57.7mpg in town, with emissions pegged at 93g/km. Those figures are for cars with the manual gearbox but don't vary much if, as I would, you opt for the twin-clutch auto transmission. The manual car comes as standard with stop/start although you need to put the gearbox into neutral and have your foot on the brake to kill the engine in stationary traffic. If nothing else, it'll encourage you not to ride the clutch. Anything else to consider? Residual values will stack up quite well and upon purchase, you get a year's free international smart road assistance service offering breakdown assistance in emergencies. This can be renewed annually following a service with your local Smart Retailer. The three-year unlimited mileage warranty is better than most and there's Smart Service Care, a service plan designed to take care of your servicing costs for the first two, three or four services. It only comes to only about £15 a month, which seems a bit of a no-brainer to me. You might well spend that yourself on having the thing regularly valeted. If you�re looking for a new smart fortwo coupe 1.0 Passion 2dr Petrol Coupe for sale, you�ve come to the right place. 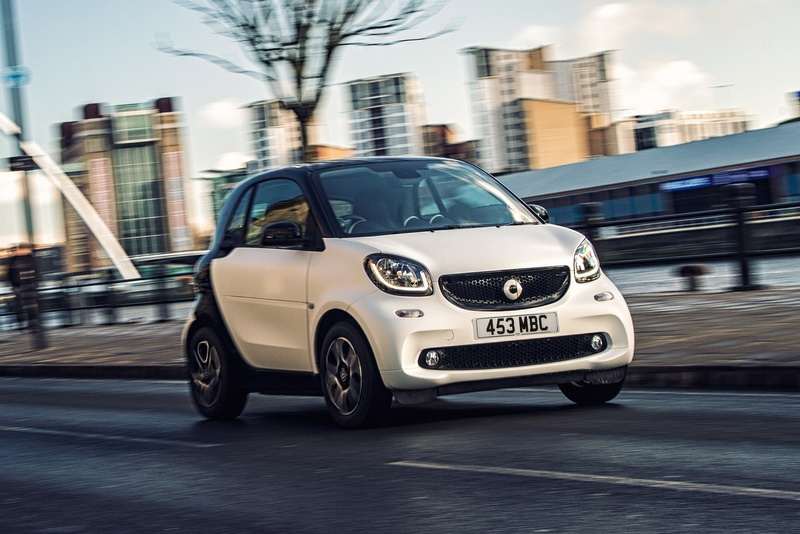 At Bristol Street Motors we don�t just have the best smart fortwo coupe 1.0 Passion 2dr Petrol Coupe deals, we also offer friendly advice and help with all your enquiries to ensure your buying experience is a happy experience.